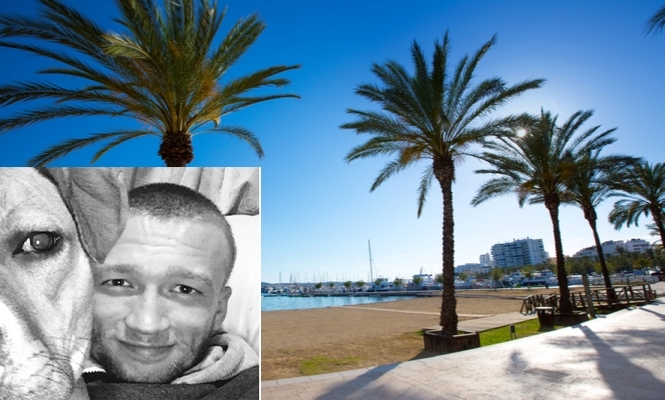 A FIGHT between two factions of British tourists yesterday morning (Sunday) has led to the death of a 23-year-old holidaymaker in Ibiza. National Police have already swooped to arrest those suspected of being involved in the brawl which took place on the San Antonio promenade, a short walk away from the Bergatin Hotel where the victim, named as Conor Lee Spraggs, was believed to be staying. Early reports allege that the victim was fighting with three other British men following a verbal dispute and that two females were also present. A post-mortem will reveal more about Spragg’s death as it remains unclear whether the fatal blow came from a direct punch in the altercation or from the impact of his fall to the ground. A Justgiving crowdfunding campaign has been launched to fly Conor’s body back home to his family. The death of Conor Lee Spraggs comes after a spate of incidents involving Brits on the island. Last week the body of a London business consultant, named as Anwaar Lahrichi-Greenwood, was found floating in the marina of San Antonio.